In previous years, we’ve spent South Ken Kids Festival exploring the solar system with Astro Cat and following the dots with Artie…but this year we encouraged visitors to the Quentin Blake Library to create their own characters and stories, their way! Muvimi was the first app we launched under our new mobile gaming brand, BIGUMAKU, but because it’s an animation ‘tool’ rather than just a ‘game’, it can still be used in learning settings. Here are some ideas for talking points that could be used by teachers to structure e.g. a Drama lesson, or by parents to encourage their children to make the most of their talents! Grab a board pen or notepad and scribble down some of the main points you’ll want to be hitting. For the setting: what’s the weather, where are you, how is it decorated, and so on. For character, what is their personality, what do they do, and what do they wear? Is there dialogue, and if not, why not? And above all – what is the plot? What are their favourite stories? To help kids make up an interesting plot for their movie, ask them for favourite examples of books, films and TV shows with good stories. At South Ken we had a whole library for inspiration, but you could think about cinema trips you’ve been on recently, for example. Now it’s time to get some structure in their to give the story a sense of pace. Introduce the idea of a 3-part story, for example by handing around pieces of paper on which they write ‘beginning’, ‘middle’ and ‘end’. The beginning is where everything is set up, the middle is where characters meet a challenge and develop, and the end is where a dramatic climax and (hopefully) resolution take place. Here is where we set the kids free in groups of 2-3 to create their very own stories. These brought together all of the previously discussed points. To see some examples of videos made by users in the real world, check out the Muvimi YouTube channel! 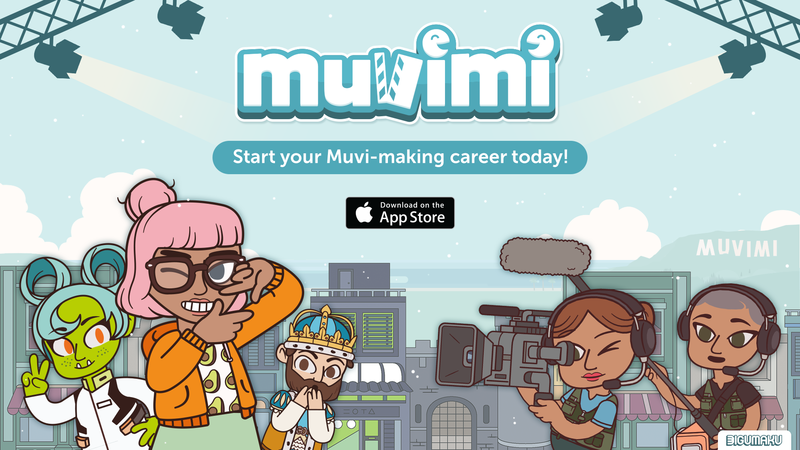 If you’d like to learn more about Muvimi, head over to its dedicated page at bigumaku.com/muvimi.